Optimism surrounding the potential increase in oil prices is fading with WTI back below $50 per barrel. Nevertheless, the oil industry is doing much better than it was last year. As the first few earnings reports start trickling in, profits are up sharply from 2016 levels. Chevron and Exxon reported strong figures on Friday, beating expectations. Chevron took in $2.3 billion in the first quarter of this year, compared to a loss of $725 million in the same period in 2016. Its cash flow more than tripled to $3.9 billion. Exxon’s profits more than doubled to $4 billion in the first quarter, year-on-year. Although the oil majors exceeded the consensus estimates, the sharp increase in profits was widely anticipated. Even though crude oil got stuck in the $50s per barrel in the first quarter, prices were up dramatically from the first quarter of 2016, a period of time when WTI dipped below $30 per barrel. But aside from higher oil prices, oil companies have continued to cut costs. 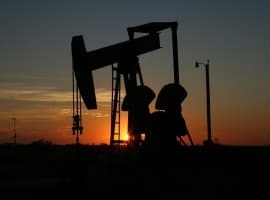 According to estimates from Bloomberg, the five oil majors – Exxon, Royal Dutch Shell, Chevron, Total and BP – are likely to see a doubling of first quarter profits, collectively. “The oil price is a big thing, but the other thing is they’ve also been helping themselves by taking operating costs out of the business,” Jason Gammel, a London-based analyst at Jefferies International Ltd., told Bloomberg in a recent interview. But a lot of the savings achieved by oil producers large and small over the past three years came at the expense of oilfield services (OFS) companies like Schlumberger, Halliburton and some of their peers. As drilling activity dried up, OFS companies had no choice but to slash their prices, charging much less for rigs, equipment and services. Now, drilling is coming back quickly, shifting leverage back in favor of OFS companies, who are starting to hike their prices. According to S&P Global Platts, services costs are expected to rise by about 20 percent on average this year. That could offset some of the efficiency gains that shale drillers are accruing as they improve their drilling techniques. Another estimate from Wood Mackenzie projects cost inflation from OFS companies to rise by between 15 and 40 percent. 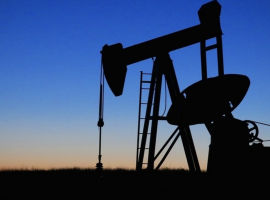 In fact, data from the U.S. Bureau of Labor Statistics – reported on by Reuters – shows that drilling costs jumped by 7 percent between November and March. That is the first significant increase in costs in over three years, and costs could continue to inch up. Higher costs, in turn, will push up the oft-cited “breakeven” costs for shale drillers. According to data from CSIS and Rystad Energy, the breakeven costs for the five major shale basins have plunged by as much as 60 percent since 2013. The Permian Basin Midland, for example, saw breakeven prices drop from $98 per barrel in 2013 to just $39 per barrel last year. Average breakeven prices in the Bakken dove to just $29 per barrel last year, down from $66 per barrel three years earlier. All five shale basins – the Bakken, the Eagle Ford, the Niobrara, the Permian Delaware, and the Permian Midland – had breakeven prices below $40 per barrel last year (although that is just an average for the region; breakeven prices certainly vary widely within each basin). One man’s price recovery is another man’s cost inflation. OFS costs won’t return to pre-2014 levels, WoodMac says, but they will rise substantially this year. That likely will spell the end of the multi-year streak of falling breakeven costs in the shale sector. To be sure, higher breakevens are unlikely to put companies out of business, or halt the rise in U.S. oil production, but it could mean a slowdown in growth. Meanwhile, Ohio is in the 80s and Michigan will struggle with low temps for May and part of June slowing agriculture but pumping heating and air conditioning. NorthEast is July heat and Colorado is ski season. Australia hands LNG exports to the U.S. ng exporters.